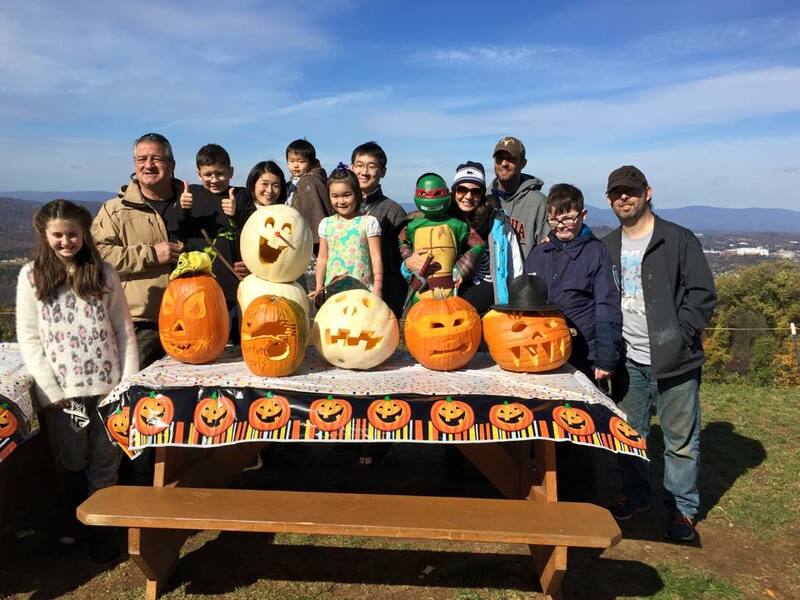 Pumpkins are available ready-picked at Carter Mountain and as pick-your-own or ready-picked at Chiles Peach Orchard. 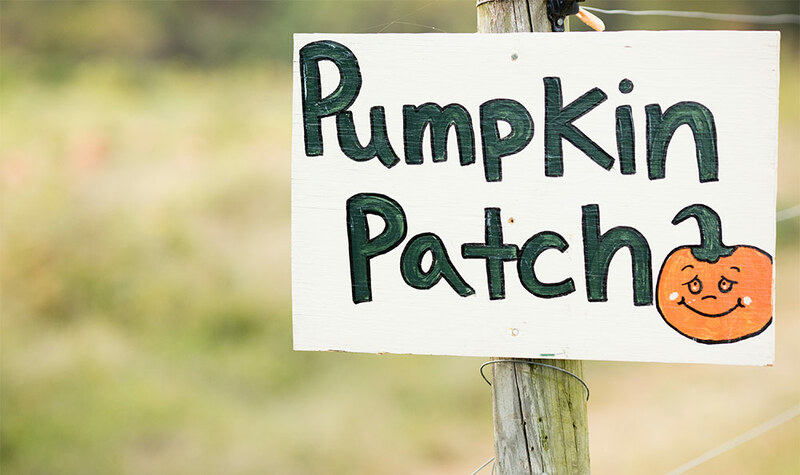 Our pumpkins are planted in June and take about 90 days to reach maturity. Mother Nature has the final say, but generally, pumpkin season starts in September. How do you know when a pumpkins is ripe? Easy! When it turns orange and is the size you want. Too many to name! We grow carving pumpkins, pie pumpkins, and decorative pumpkins, gourds, and squash in many colors and sizes. Do you grow all of the pumpkins in your orchards? All of our pumpkins are local. If demand outpaces our own supply, we partner with local farms to supply additional ready-picked pumpkins. Are some pumpkins better for carving or cooking? Jack-o-lantern pumpkins are best for carving, due to their thick skin or rind. Smaller pie pumpkins are thinner skinned and provide more flesh for cooking.